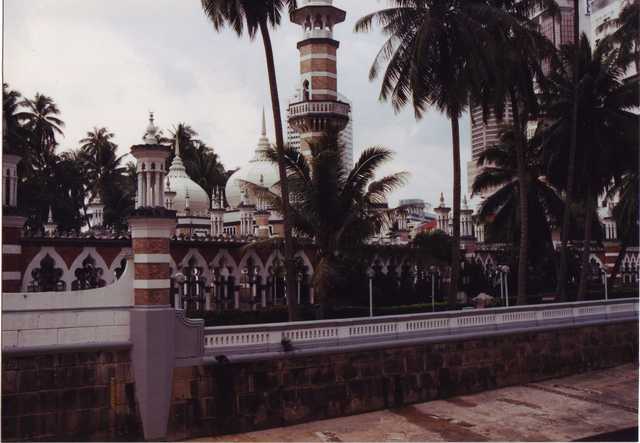 The 3rd conference of the Asian Crystallographic Association. 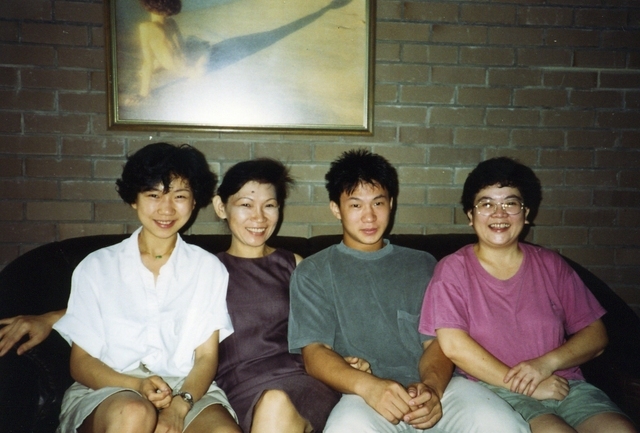 Chen Wei (2nd from left) with her family at home in Kuala Lumpur, 1997. 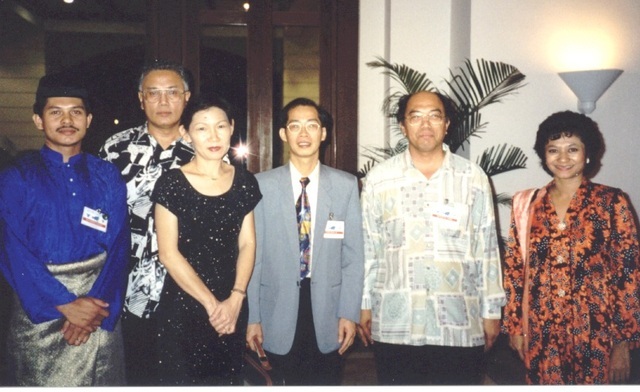 ?, ?, Hamid bin Othman, Chen Wei, Jim Simpson, ?. 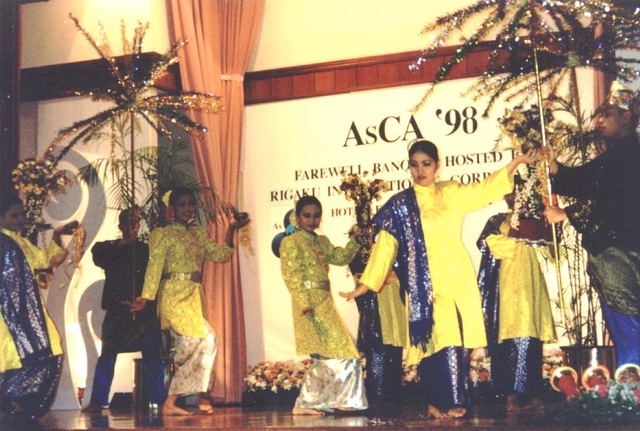 Entertainment at the opening ceremony for AsCA'98 in Bangi, Malaysia. 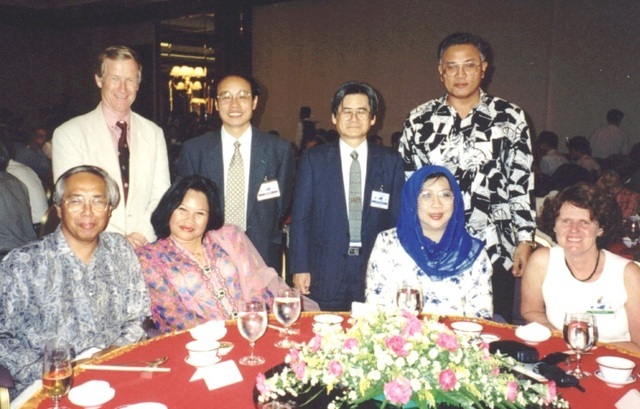 Standing: Ted Baker, Zi Zhang, Jimpei Harada, Hamid bin Othman; seated: ?,?,?,?, Heather Baker. 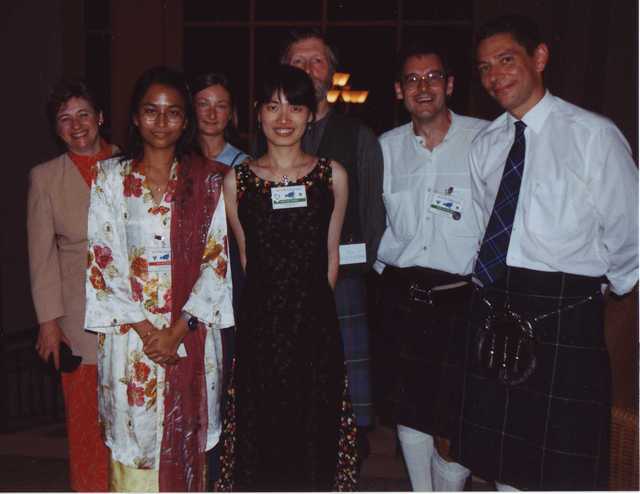 A delegation from Glasgow at the AsCA'98 banquet promoting the 1999 IUCr Congress. 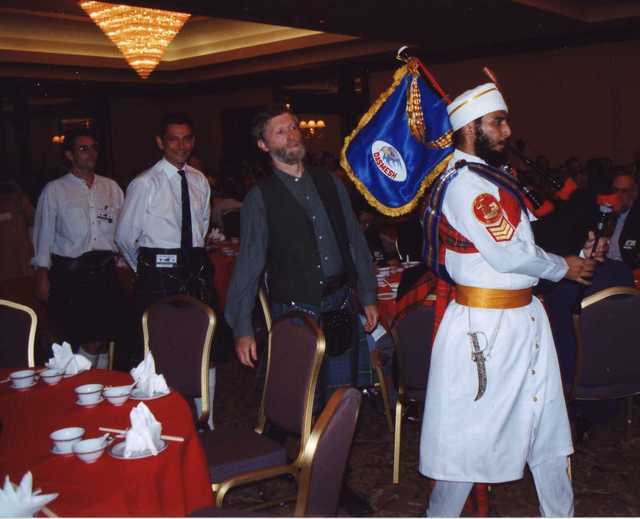 Following the piper is Chris Gilmore. 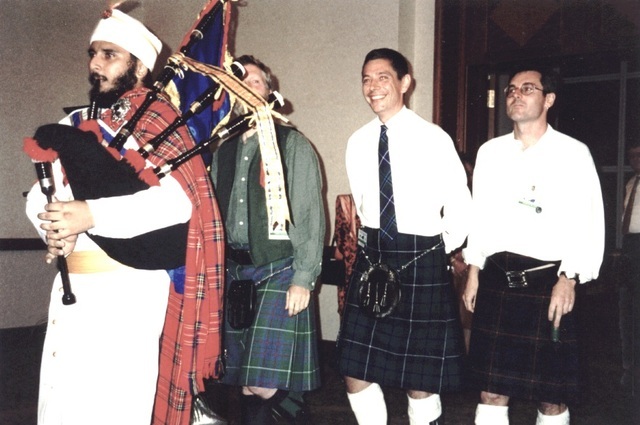 Chris Gilmore following the piper. 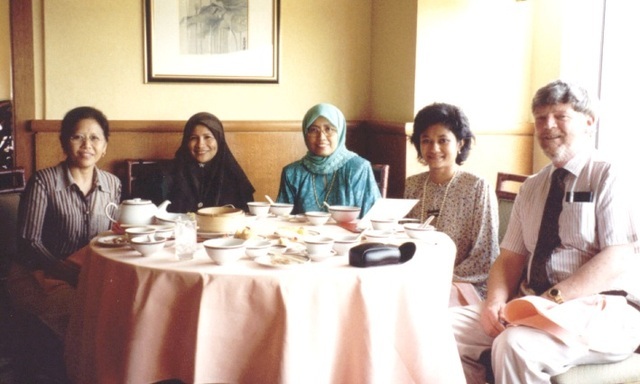 ?, Siti Azlynda, ?, Wei Ping Wong, Chris Gilmore (obscured), Charles Wilson, ?. 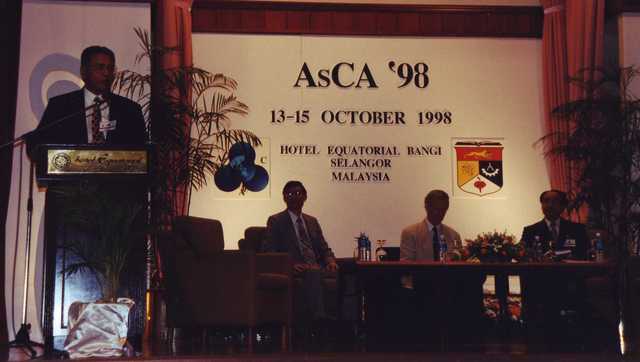 Entertainment at the banquet for AsCA'98 in Bangi, Malaysia. 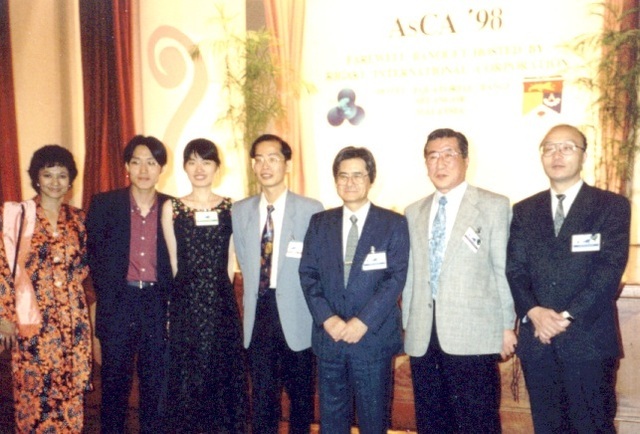 Jimpei Harada third from right. 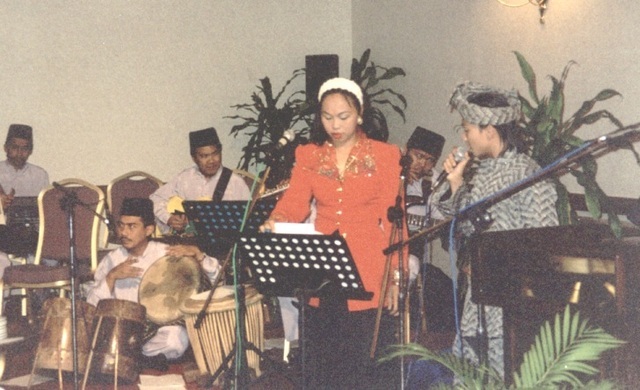 ?, Hamid bin Othman, Chen Wei, ?, ?, ?. Ted Baker, Jimpei Harada (2nd and 4th, front row). 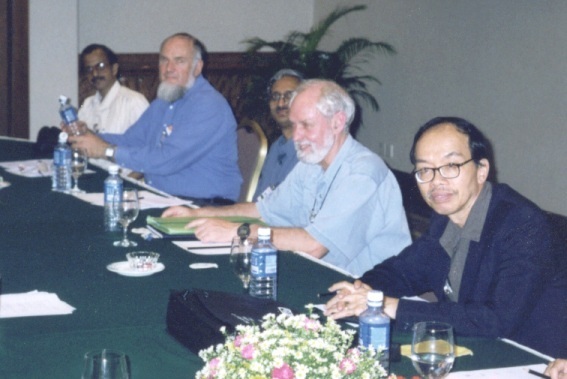 Ian Grey, Jim Simpson, Jan Wikairi, Ward Robinson, Geoff Jameson. Back: Joshua Mackinnon , ? ; front: Chris Ling, Kelly Maxwell. 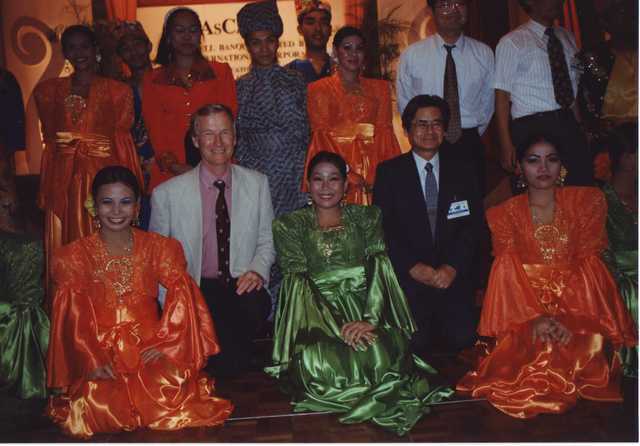 ?, Ward Robinson, ?, Chris Howard, Phathana Phavanantha. 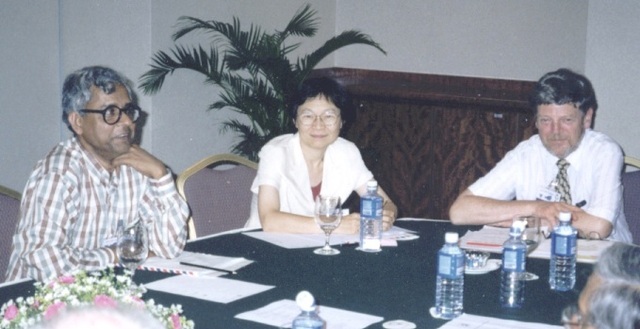 ?, Yu Wang, Jim Simpson. 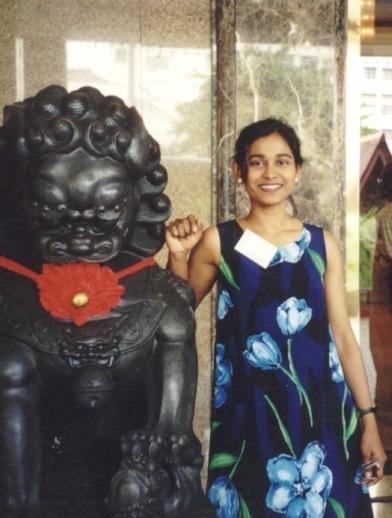 Renu Kadirvelraj outside the Bangi Resort entrance. 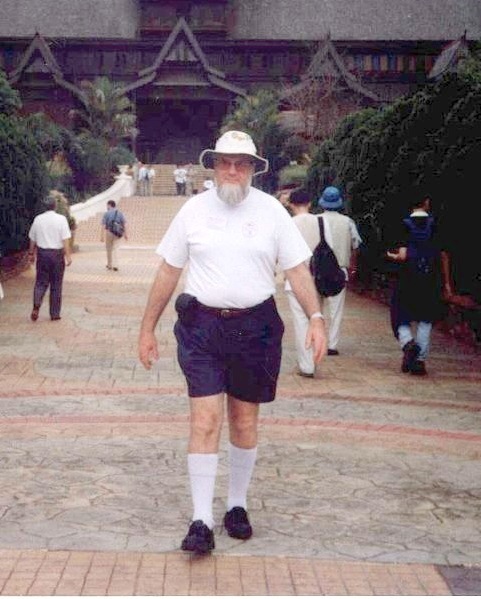 Ward Robinson at the Sultan's palace (now Malacca's cultural museum) in Malacca, Malaysia.